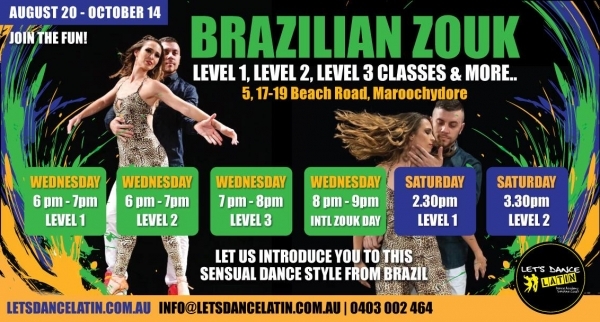 BRAZILIAN ZOUK CLASSES EVERY WEDNESDAY NIGHT! Brazilian Zouk is a dance style originating from the Brazilian dance Lambada. Brazilian zouk, or zouk lambada, is a fusion of the lambada body movement and Caribbean zouk music. It's a beautiful flowing partner style dance originating from the Brazilian dance Lambada and is danced socially at parties.